What is "balanced training" & "Science based training? Google "balanced training" and you'll come up with a lot of different results. 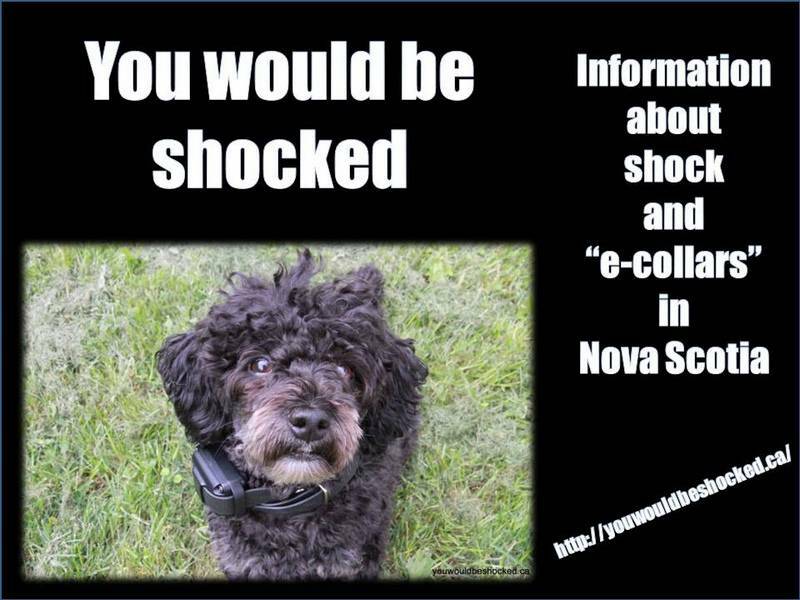 Here in Nova Scotia it means one thing - the trainer you have chosen is going to put a shock/e-collar on your dog plus use positive rewards when your dog does something right. Without question. That is what balanced trainers do in Nova Scotia. That is the paradigm that balanced trainers have chosen to use to train dogs here. They claim they can work with aggression, teach your dog to be off leash reliable, work with bite prevention, and do obedience. Usually they will offer board and train so you just hand your dog over to them and get back a dog that is completely trained - and it also will cost you quite a bit of money in the end. And at the end you get a free shock collar (they will call it an e-collar) that your dog has to wear for the rest of it's life if you want your dog to comply with the trainer that they taught him. Usually you are offered a quick fix - a 2 or 4 week board and train and you get back a dog that has been cleansed of all the sins that you've been dealing with - but is it worth it? If you're interested, the website "Companion Animal Psychology" has a good article that talks about balanced training at "In Dog Training, Balanced is Off"
On the dog trainers page listed on this website that lists dog trainer who use a different training paradigm you will not be offered such a quick fix - you will to go to training classes yourself with your dog - you might also be offered private one on one training consulations for a higher cost - but you will have to do the work yourself. The trainers we've listed teach "science based dog training" - there is a very good write up of what that is - here - basically what happens with this training is that if your dog does something, and that action is followed by a well-timed favorable outcome, the behavior will happen more frequently in the future. It's pretty simple - the article I have linked to explains it really well, so check it out. When you use a trainer who uses science based dog training - you build a better relationship - with your dog - build a loving, positive, one on one relationship - with your dog. And why did you get a dog in the first place? 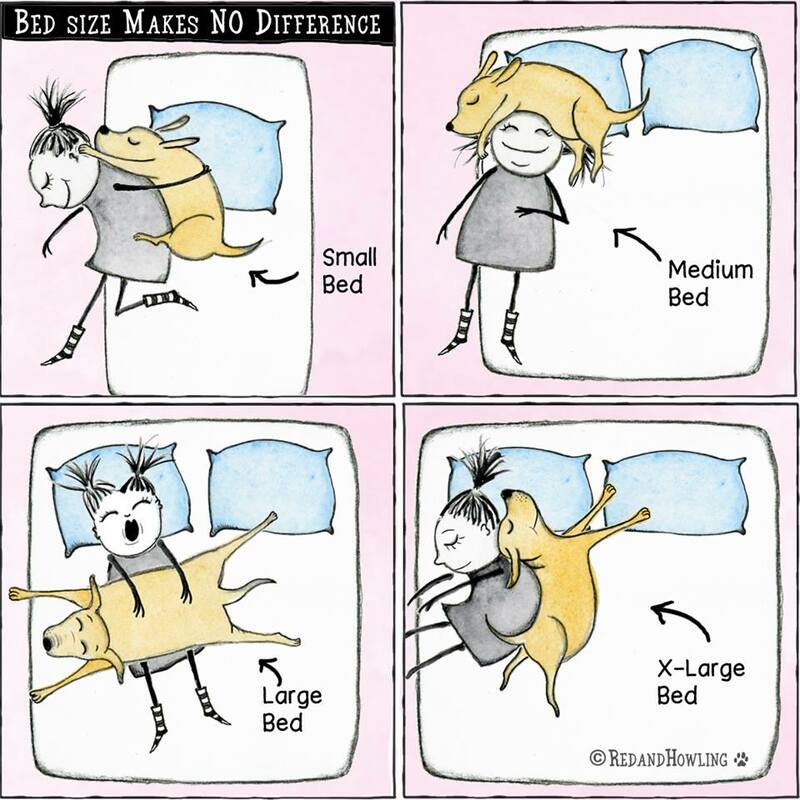 If you got a dog so that you can build your bond with them - then contact one of the trainers listed on our "trainers page" - you won't regret it - and you'll ultimately have a happy long life with the dog that you've brought into your home and share your bed with and give your leftover pizza to. If you want to control every aspect of their life and have them stop on a dime 200 feet from you 100% of the time - then maybe you want to consult a "balanced trainer" - because those of the sorts of results that they can offer you. 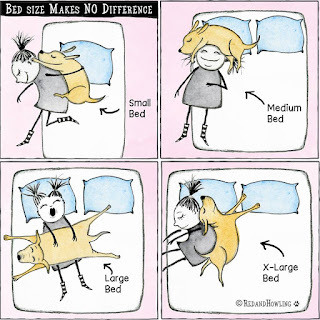 It's your choice - but we hope you make the right decision for you and your dog. My friend Janet Young has a really good blog post about this topic on her blog Granny's Journal if you want to check it out - the post is titled "On Keeping the Darkness at Bay"